Skiing or snowboarding in New York is probably not the first thing you think about when planning your city trip. NewYork.com.au offers you this unique day trip! 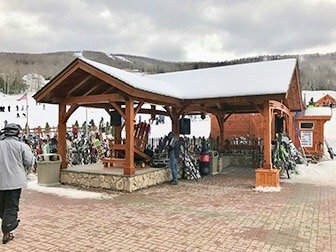 Did you know; only a couple of hours away from the city, you can ski and snowboard at Hunter Mountain Resorts? For those who want to combine a city trip with a ski holiday in New York, then this day trip is for you. 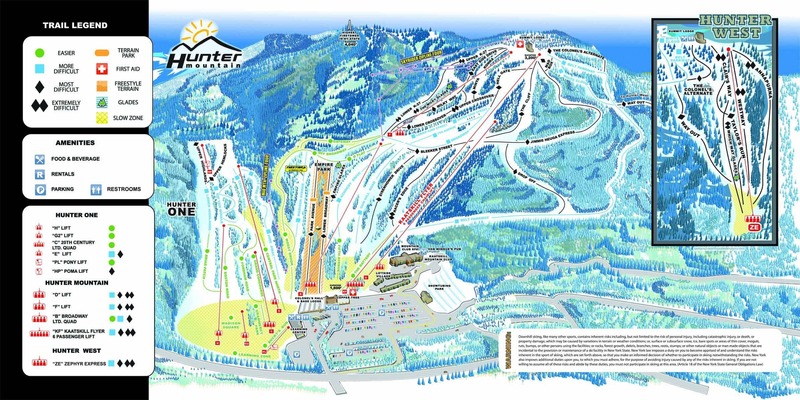 Skiers of all levels can book these all-area lift tickets. 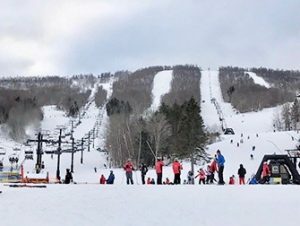 Hunter Mountain offers slopes for skiers of all abilities. There’s a gentle slope for beginners and advanced terrain for seasoned experts. Start the day early in Midtown Manhattan, where a bus is waiting to take you to your destination. Once there, you will receive your ski lift ticket, ski or snowboard, boots, and a helmet. All of this is included in the total price that you pay in advance! At the end of the day, you will be driven back to Manhattan. 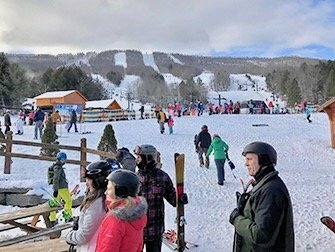 Hunter Mountain has many different slopes that, if necessary are covered with fresh snow by snow machines, so you always have good ski conditions. For those who are really looking for a challenge, Hunter Mountain offers a free fall of as much as 488 metres! But beginners are also well catered for here, the day trip is suitable for skiers of all levels. All of this for around A$178: that’s what you’d spend on an average night out in Manhattan! Eric’s Tip: Check with your travel insurance if skiing and / or snowboarding is in your current coverage. Apply for any supplementary insurance if needed! After purchasing, you will receive a voucher that you can print out and use as your ticket for the day trip, or show on your phone as a mobile ticket.